Not everyone digs Siri. Some of you probably can't live without the personal assistant on your iPhone, and some of you probably never even use it — and likely never will. If you fall into the latter category of iPhone users, you can simply disable the feature altogether, which will prevent accidentally triggering her or him anymore and will keep your iPhone nice and secure overall. 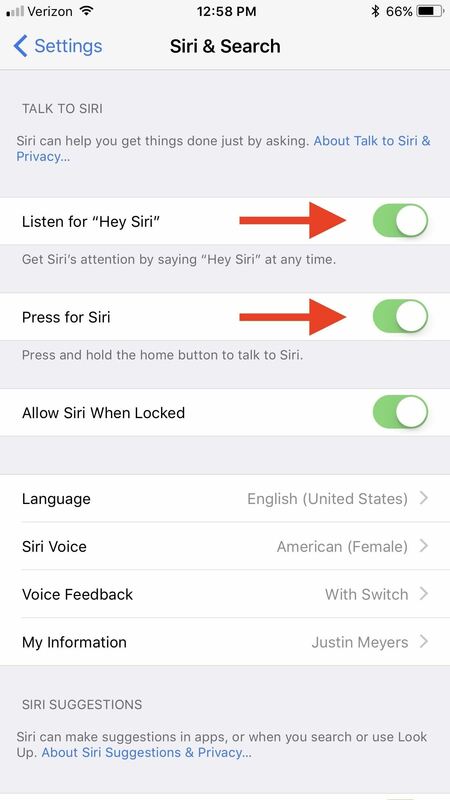 The instructions for disabling Siri altogether are slightly different in iOS 10 and iOS 11 and higher, so I'll cover both ways below. Also worth noting is that in iOS 9 and under, after disabling the Siri Home button shortcut, it would automatically be replaced by a similar feature called "Voice Control," which is more of a utility for getting things done and less of a sassy, back-talking virtual assistant. However, in iOS 10 and higher, you will have to enable Voice Control manually via Settings –> General –> Accessibility –> Home Button. 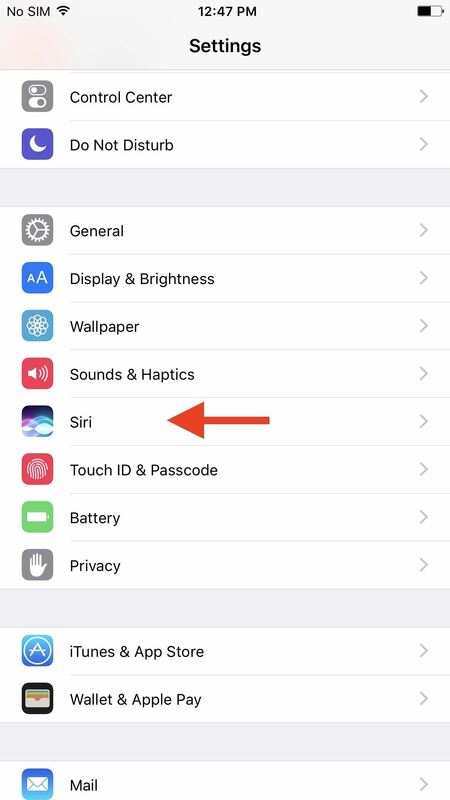 To disable Siri on your iPhone running iOS 10, simply go to Settings –> Siri, then simply toggle off "Siri" at the top of the list. You'll be prompted to "Turn Off Siri" with the following warning. 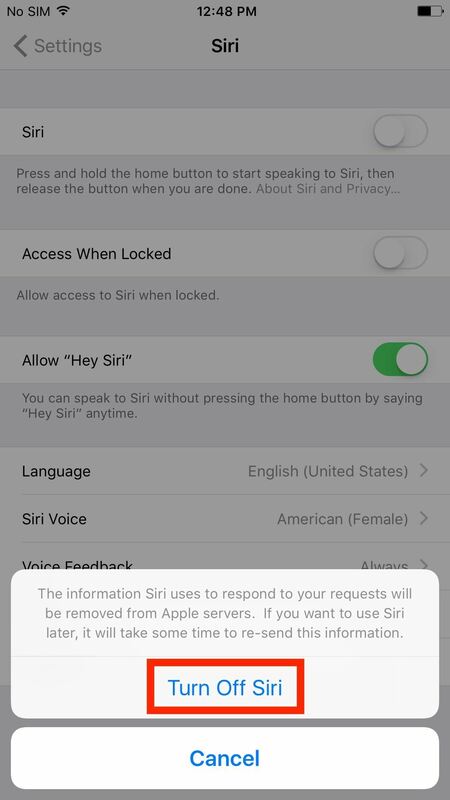 The information Siri uses to respond to your requests will be removed from Apple servers. If you want to use Siri later, it will take some time to re-send this information. If you haven't really been using Siri to begin with, this shouldn't matter one bit to you. 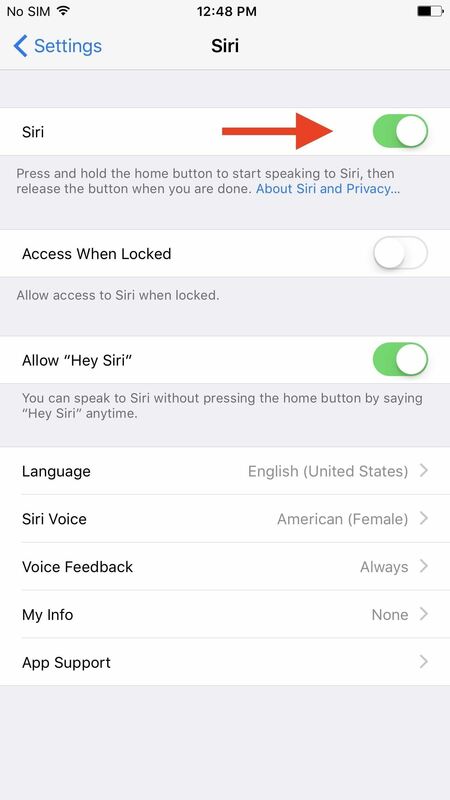 So tap on "Turn Off Siri" and the long-press Home button shortcut, as well as the "Hey Siri" option, will be gone. 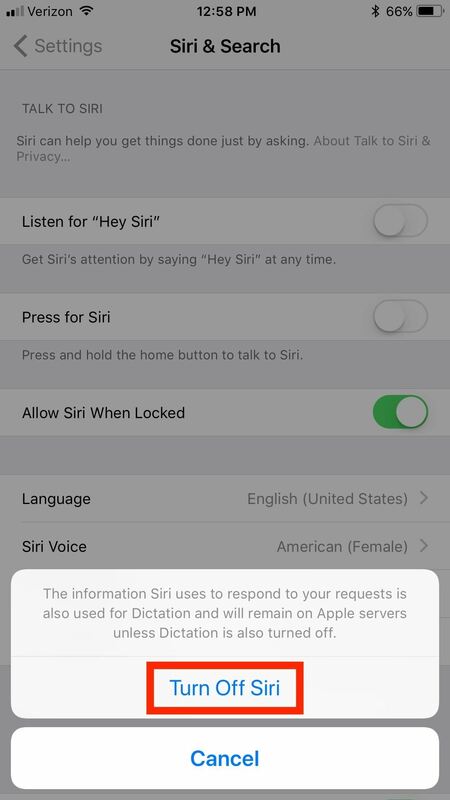 The information Siri uses to respond to your requests is also used for Dictation and will remain on Apple servers unless Dictation is also turned off. If that's okay with you, tap on "Turn Off Siri" to finalize it. Should you choose to do so, Dictation can be disabled via Settings –> General –> Keyboards, but this is actually a useful feature, so I'd recommend keeping it on. 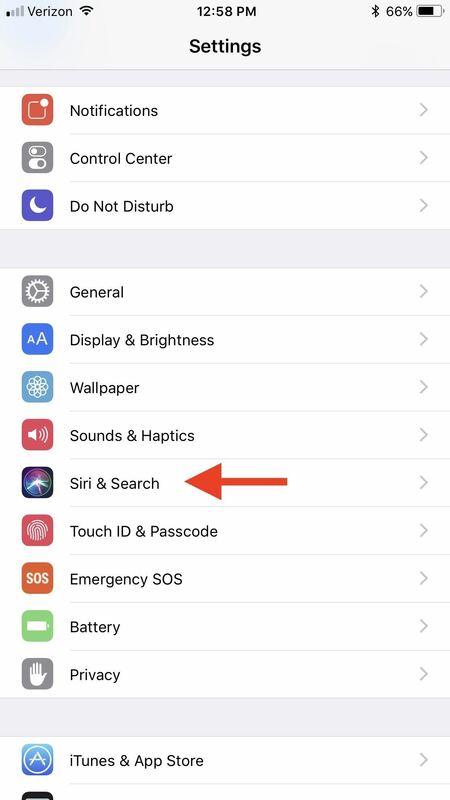 Also in the iOS 11 and iOS 12 settings, you'll see that Siri is also the culprit behind the suggestions that show up in search and using the "Look Up" feature that's available when you highlight text on the screen. If you'd like to turn that off too, you can from the Siri & Search settings page.